Invisalign Lite is a mid-level treatment system designed to fix intermediate orthodontic issues. 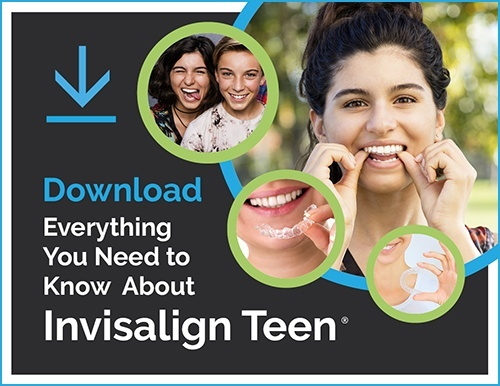 Invisalign Lite has the ability move all of your teeth, including molars, and will fix both the appearance of your smile and any bite problems you may be having as a result of your misaligned teeth. The aligner trays are made with the same plastic used in Invisalign Full and the treatment process is essentially the same, just less time-consuming. Invisalign Lite corrects mild to moderate malocclusion, which is a misalignment of teeth. Malocclusions can be caused by an overbite, underbite, crossbite, or crowding. While the tougher cases are better served by Invisalign Full, many patients can achieve their desired result with Invisalign Lite. Because it is a less involved treatment process than Invisalign Full, Invisalign Lite is generally less expensive and takes less time - approximately 4-8 months. Brides, It’s Not Too Late to Get the Perfect Smile!